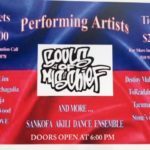 Bay Area Artists Extravaganza to benefit Haiti Emergency Relief Fund. Saturday, March 23 at the Malonga Center Theater, 1428 Alice Street at 14th in Oakland. 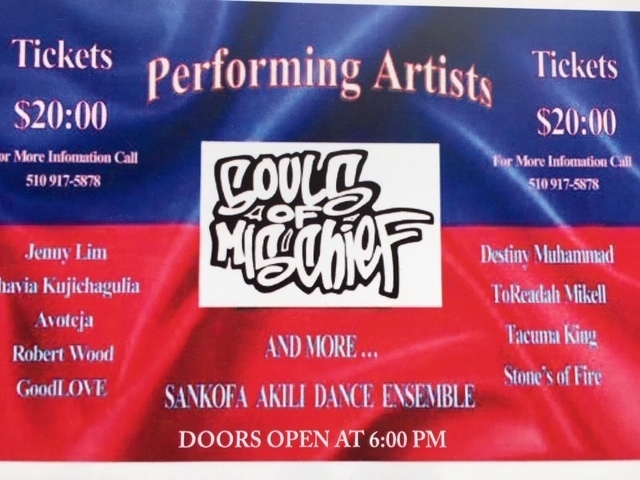 Featuring performances by Souls of Mischief, Jenny Lim, Phavia Kujichagulia, Avotcja, Robert Wood, GoodLOVE, Destiny Muhammad, ToReadah Mikell, Tacuma King, Stone’s of Fire, Sankofa Akili Dance Ensemble and more. Festivities begin at 7, doors open at 6.